Submit an article to be featured on the blog to info@pilatesbarre.com. The Pilates Method was originally developed as a comprehensive rehabilitation program for a wide range of ailments and injuries, with specific exercises designed for every part of the body's musculoskeletal system. So, the simple answer is: yes. In fact, several of the original group of Pilates instructors had suffered from chronic back pain or injury themselves before being successfully treated by Joseph Pilates. In most cases, Pilates will help to alleviate back pain and more importantly, it will help to prevent pain and injury from occurring in the first place. It's important to note that there are two methods of practicing Pilates: Mat and Apparatus. Mat Pilates is comprised of a series of core focused exercises done on a mat, usually in a group setting. 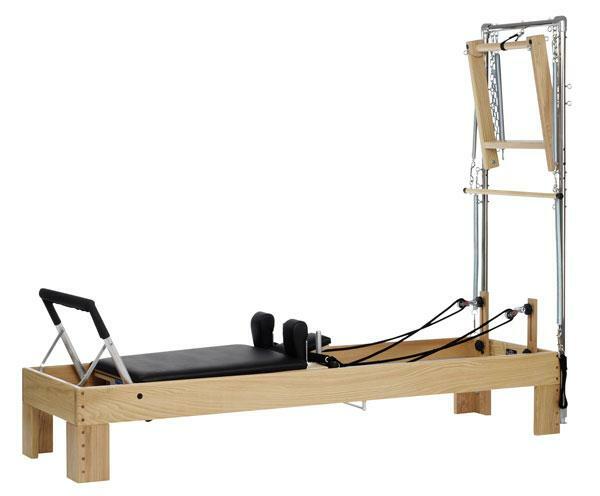 Apparatus Pilates is a system of exercises done on various pieces of equipment - the most widely used being the Reformer. While there are some mat exercises that may be beneficial for back pain, the support provided by the Reformer would be a safer approach. 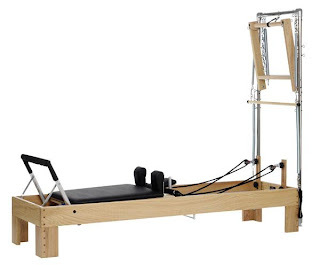 One of the main goals of Pilates is to strengthen the intrinsic musculature - or deep muscles. the intrinsic muscles are the muscles that are closest to the bone, and are therefore key in supporting the structure of the spine. When these muscles are weak there is more pressure and stress on the spine. Typically we've been taught to train our extrinsic - or superficial - muscles when we exercise. Generally this may seem like a more intuitive approach because it's easier to feel these muscles as they are larger and easier to see, (i.e., the historically coveted six pack). This isn't to say that you can't achieve a nice looking set of abs from doing Pilates. Quite the opposite, in fact. The difference is how you get there. Pilates is about working the muscles from the inside out, learning how to engage these deep, core, supportive muscles in order to properly support the larger muscles. This can't happen in reverse order! Once the larger, extrinsic muscles take control, the core intrinsic muscles will not engage; it's like trying to install a foundation after the walls and roof are already up. If you go to the gym and attempt heavy lifting without first having spent time learning proper awareness and engagement of your intrinsic core muscles, your body will immediately recruit the larger, stronger outside muscle groups. This contributes to any muscular imbalances already in place, while missing the connection with the deep muscles that support the spine in the process. The result of this is often poor form from which, with repetition, is likely to result in some type of muscle, disc or joint injury. Alternatively if you have strong and healthy intrinsic muscle fibre, you can still do squats at the gym while having the precision form to move and stabilize your body so that you can lift heavy loads with far less risk of injury. It takes time, patience and practice to learn to engage deep musculature. Superficial muscles give immediate and recognizable feedback - such as the 'burn factor' - which feeds into the 'no pain no gain' philosophy inherent in old-school ways of training. Intrinsic muscles, on the other hand, don't offer the same tangible feedback. Intrinsic muscles feel different. This is where the mind/body factor comes into practice. Pilates encourages the conscious practice of muscle engagement. Joseph Pilates coined this term Contrology because he believed his method uses the mind to control the muscles. In a culture where many of us spend a large part of our day sitting, it's no wonder that we've lost some consciousness around body awareness and as a result more and more people are experiencing back pain. Pilates will help you to develop a more conscious awareness of how you are in motion and in stillness. Simply put, Pilates helps develop core strength, core strength helps prevent back pain. When considering whether or not Pilates is a fit for you, be sure to seek out a qualified and experienced practitioner. Okay, you are clearly who I need to talk to. My question: Do I have these "intrinsic" muscles in my extremities. For example in my calves? Hi There, really great post about Pilates. I use it myself to reduce my backpain. Do you have more specific exercises? Pilates is one of the most ideal and effective techniques for treating back pain. It can strengthen core muscles ensuing to improved flexibility, posture, fitness and pain relief. Another efficient technique to cure back pain is the renowned chiropractic care. The process has been growing popularly worldwide, and it guarantees a safe and quick treatment not just for back pain, but for different parts of the body, stress, and pregnancy as well. Really great post here, it's very informative and helpful, thanks for the tip! Wow!It looks very comfortable for my back and can help with my back pain. Pilates does have a lot of positive effect in our health. Besides strengthening our core, it also help us develop our health awareness and body discipline. Hi.. I just want to say that it was a nice reading material. I hope you come out with more interesting posts, because I bookmarked your website. All the best. I always have back pains even if i'm doing slight chores at home. Haven't done pilates. Also is it okay to do pilates even if you have scolio? I love Pilates workout and also do it regularly to make my body healthy and prevent the any kind of body pain and injury. Great post. I have heard a lot of differing viewpoints about Pilates but his is probably the best overall summary I have seen. I think it all boils down to mindfulness in our movements. Really great article - I think Pilates is the next thing I'm going to try to help deal with my back pain. Thanks! yes, Pilates can help to remove your back pain, For batter results Pilates master will be best option for you. How Many Times a Week Should I Do Pilates?